AECOM (Los Angeles, Calif.) has announced that the U.S. Department of Energy’s (DOE’s) Savannah River Operations Office in Aiken, S.C., has extended the current liquid waste management contract with AECOM-led Savannah River Remediation LLC. The approximately $450-million extension will run from June 2018 through the end of March 2019. Services provided will include operating the Defense Waste Processing Facility and Saltstone Processing Facility, and making progress on the Tank Closure Cesium Removal demonstration and construction project and the construction of Saltstone Disposal Unit 7. For more information on the remediation services industry, size, company profiles and contracts visit our Remediation and Industrial Services Report page. China is significantly reducing state support for solar power by introducing installation caps on utility scale projects, capping distribution generation, and reducing feed-in tariffs in accordance with its government’s recently announced 2018 Solar PV Power Generation Notice. With China accounting for over half of all global PV installed capacity last year, solar experts predict the measures will have a considerable chilling effect on the worldwide solar market by increasing oversupply in PV manufacturing, leading to further price declines. The changes are also expected to accelerate consolidation in the segment. In a statement, the Chinese government said the measures were intended to “promote the healthy and sustainable development of the photovoltaic industry, improve the quality of development, and accelerate the subsidy retreat.” China was the largest solar market in the world last year, installing 53GW, but according to GTM Research, the new policy could cut China’s capacity additions in 2018 by 40% to 28.8 GW, down from the 48 GW originally forecast. The U.S. Department of Transportation’s Federal Transit Administration (FTA) has allocated $277.5 million in emergency relief funding for public transportation systems damaged by hurricanes Harvey, Irma, and Maria. Approximately $232.3 million will be dedicated to response, recovery and rebuilding projects, with $44.2 million going toward resiliency projects. The FTA plans to allocate funds as follows: approximately $223.5 million for Puerto Rico, $23.3 million for Texas, $22.8 million for Florida, $6.7 million for the U.S. Virgin Islands, and $187,000 for Georgia. Ecology and Environment Inc. (Lancaster, N.Y.) reported revenues from South American operations increased 17% to $5.4 million for the third quarter of fiscal year 2018 and rose 32% to $16.3 million for the nine months year-to-date. Improved economic conditions in South America that began during fiscal year 2017 continued to have a positive impact, particularly in Brazil and Peru, with results from the company’s Chilean operations remaining strong. However, U.S. revenues decreased 9% to $14.7 million for the current quarter, and decreased 9% to $44.5 million year-to-date, compared with the same periods last year. Lower project activity and earnings in the United States resulted mainly from two continuing client trends: longer decision-making periods for new contract awards from prospective clients, and extended timeframes to fund and schedule ongoing project work for current clients, the company said, noting that sluggish activity in the company’s core oil & gas and federal government market sectors impacted results. For information on the remediation services industry, size, company profiles and contracts visit our Remediation and Industrial Services Report page. Stantec (Edmonton, Alberta) has been selected to lead environmental assessment for the Skipjack Wind Farm, an offshore wind project being developed by Deepwater Wind off the coast of Maryland. The 120-megawatt wind farm is Maryland’s first offshore wind farm, with the potential to power 35,000 Maryland homes. Stantec will lead a team of local biologists, engineers, marine archaeologists, and other researchers to conduct extensive marine and environmental assessments. “We are committed to supporting Deepwater Wind through a streamlined and thorough process in the assessment and permitting of this milestone renewable energy project,” said Diane Sullivan, sector leader for Renewable Energy at Stantec. Moleaer (Los Angeles, Calif.), a manufacturer of industrial scale Nanobubble Generators for water and wastewater treatment, agricultural irrigation, and oil-water separation, has raised over $6 million in funding led by Energy Innovation Capital. Moleaer’s Nanobubble Generators provide gas transfer and flotation capabilities; the company says it has already proven that nanobubbles can reduce energy costs at wastewater treatment plants by 40-80% and can increase crop yields by 25-50%. “In just one year of commercial activity, Moleaer has repeatedly demonstrated the value of nanobubbles and its Nanobubble Generators through the 75 systems we have installed in wastewater treatment, crop production, and oil-water separation facilities,” said Nick Dyner, CEO of Moleaer. Global steel and mining company Arcelormittal (Luxembourg) and LanzaTech (Chicago) have embarked on a €150 million project to revolutionize the capture of blast furnace carbon emissions. ArcelorMittal has begun construction in Ghent, Belgium on a new installation to convert carbon-containing gas from its blast furnaces into bioethanol. The new concept has the potential to revolutionize how blast furnace carbon emissions are captured and support the decarbonization of the transport sector, Arcelormittal said. The technology pioneered and licensed by LanzaTech uses microbes that feed on carbon monoxide to produce bioethanol. Pacific Gas and Electric Company (PG&E, San Francisco) has received approval from the California Public Utilities Commission (CPUC) to develop two new five-year programs aimed at accelerating widespread electric vehicle (EV) adoption and combating climate change. The new programs will increase fast charging options for consumers, as well as electric charging infrastructure for non-light-duty fleet vehicles. PG&E’s Fast Charge Program will pay for and build the infrastructure from the electric grid to the charging equipment for public fast chargers, complementing state and privately funded initiatives. The Water Supplies Department (WSD) of Hong Kong has appointed Black & Veatch to assess the condition of its reservoirs, which serve 7.3 million residents. Black & Veatch will inspect 63 service reservoirs and six impounding reservoirs, including quantitative landslip risk assessment of slopes surrounding the service reservoirs. “We know these assets well, having helped engineer the impounding reservoirs during the 1930s. It is gratifying to continue our role in their safe operation,” said Andy Kwok, managing director, Black & Veatch Hong Kong. The Spectrum Companies (Birmingham, Ala.), a regional environmental consulting and services firm, has acquired Pipe Services of Alabama (Pelham, Ala.), a provider of CCTV pipe inspections, air-acceptance pressure testing, cleaning, and various pipe and manhole services and engineering solutions for municipalities and industrial sites throughout Alabama. The addition of Pipe Services to the Spectrum team will allow Spectrum to service the utility and infrastructure market with both pipeline video and pressure testing services. The U.S. Department of Defense announced that Stantec Consulting Services Inc. (Burlington, Mass.) is being awarded a $17-million firm-fixed-price task order under an indefinite-delivery indefinite-quantity architect-engineer contract for preliminary design of a multi-mission dry dock at Portsmouth Naval Shipyard for The Naval Facilities Engineering Command, Mid-Atlantic, Norfolk, Va. The preliminary design will include information necessary to support consultation with environmental regulatory agencies and up to 35% project design. Work will be performed in Kittery, Maine, and is expected to be completed by September 2019. Arcadis (Amsterdam) and the entrepreneurs network, Techstars, have agreed a global partnership to cultivate innovative start-ups to transform the natural and built environment. The “Arcadis City of 2030 Accelerator, Powered by Techstars” will focus on digital technologies and innovative solutions, with applications open in July and the project kicking off early next year. Arcadis will support selected companies by providing mentors. “Working with and learning from start-ups is crucial for the evolution of Arcadis. We are convinced that Techstars is the right accelerator program partner for large well established companies that are willing to proactively reinvent themselves, like ours,” said Patrick van Hoof, Global Director Innovation at Arcadis. MNS Engineers Inc. (Santa Barbara, Calif.) has acquired S&C Engineers Inc. (Oakland, Calif.), a provider of professional program management and construction management services throughout the Bay Area for over 18 years. S&C Engineers specializes in managing transportation construction projects and seismic retrofit. MNS Engineers is an infrastructure consulting firm that has served transportation, water resources, government, and federal markets for over 50 years. MNS has had a long-standing collaborative relationship with S&C on infrastructure improvement projects. MNS has its main presence in Central and Southern California. Assistant to the Secretary for Rural Development Anne Hazlett has announced that the U.S. Department of Agriculture is investing $256 million in 81 projects to improve water and wastewater infrastructure in rural areas in 35 states. The fiscal year 2018 Omnibus spending bill provides $5.2 billion for USDA loans and grants, up from $1.2 billion in FY 2017. It also directs the Agriculture Secretary to make investments in rural communities with the greatest infrastructure needs. 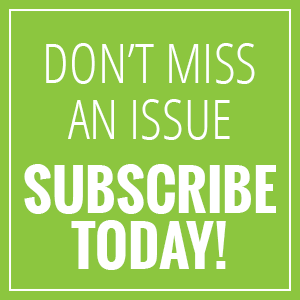 • Hockessin Groundwater in Hockessin, Del. • Burlington Industries Cheraw in Cheraw, S.C.
• Franklin Street Groundwater Contamination in Spencer, Ind. • Spring Park Municipal Well Field in Spring Park, Minn.
• Delfasco Forge in Grand Prairie, Texas. Disclaimer: EBJ does not warrant the accuracy, reliability, or timeliness of any EBJ news item. Before relying on any EBJ News item the information should be independently verified. 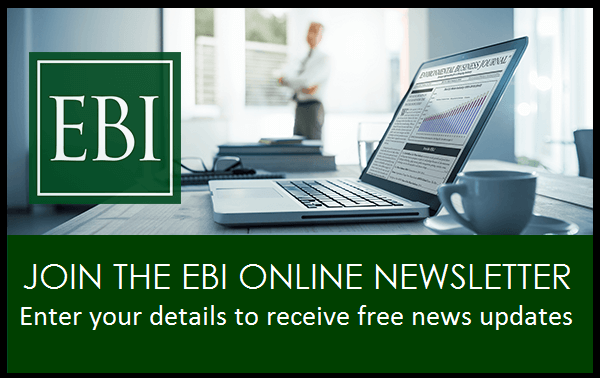 EBJ News is a free bi-weekly service of EBI Inc. to the environmental industry community. 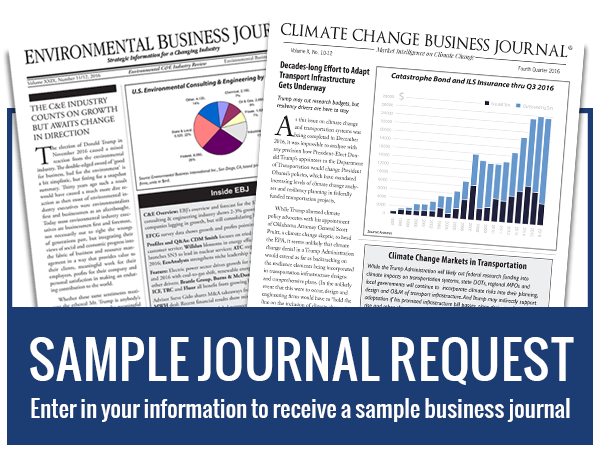 It is separate from Environmental Business Journal (EBJ), our flagship subscription publication that provides market intelligence, proprietary data, and strategic information to companies with multi-user subscription agreements for ongoing access to PDF and XLS files.